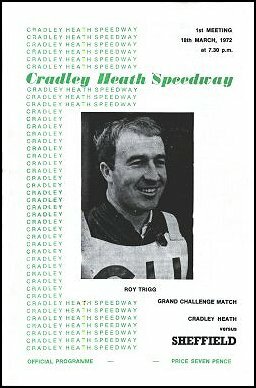 Cradley received very little help during the winter from the Rider Control Committee and began 1972 with virtually the same team that finished bottom but one in 1971. However most matches were close encounters and the Heathens won more than they lost. In June a tremendous win against Newport 60-18 put them in 5th place in the table but following this they had trouble winning even home matches and soon slipped down the League again to third from bottom. A slight improvement on last year but fans were left disappointed that the team with so much experience had not produced the 'goods'. With riders like Bob Andrews, Roy Trigg, Pete Jarman and Jimmy Squibb in the side the supporters expected more. The exception was of course Bernie Persson who upped his average to more than ten and of course the 'Black Country Swede' exceeded his wildest dreams by finishing second to Ivan Mauger in the World Final at Wembley after a run-off. More than twenty coaches full of Heathens fans plus hundreds of cars had a night of entertainment they will never forget. Bernie couldn't carry the team on his own though and once again Cradley finished near the bottom of the league. 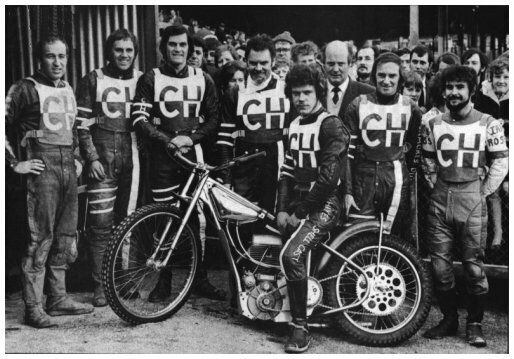 Some consolation was at the junior end though with a wealth of talent - Dave Perks, Gerald Smitherman, Dave Harvey and Ian Ross all made the debut in the British League. Cradley were knocked out of the K.O.Cup in the second round by Hackney who coincidently were the same team who had beaten them in the Final in 1971. Wolves were the team to put Cradley out of the Midland Cup after a Titanic battle but easily beat us in the Dudley Wolves Trophy later on. Just to make matters worse a few days later Ole Olsen walked away with the Watney Mann Trophy. In the other individual meetings Bernie won the Cradley round of the Midlands Riders Championship, Bob Andrews won the World Championship Qualifying Round and Pete Jarman won the Handicapped Alan Hunt Trophy. Three Individual meetings were held, The Alan Hunt Memorial Trophy was a handicapped meeting with Pete Jarman riding in place of Ronnie Moore who had broken down en-route, the victor. The Watney Mann Trophy in September was won by Ole Olsen and The Ivor Hughes Memorial in October by Dave Perks. The LP Transport Trophy this season was a pairs event won by Bengt Jansson and Barry Thomas.